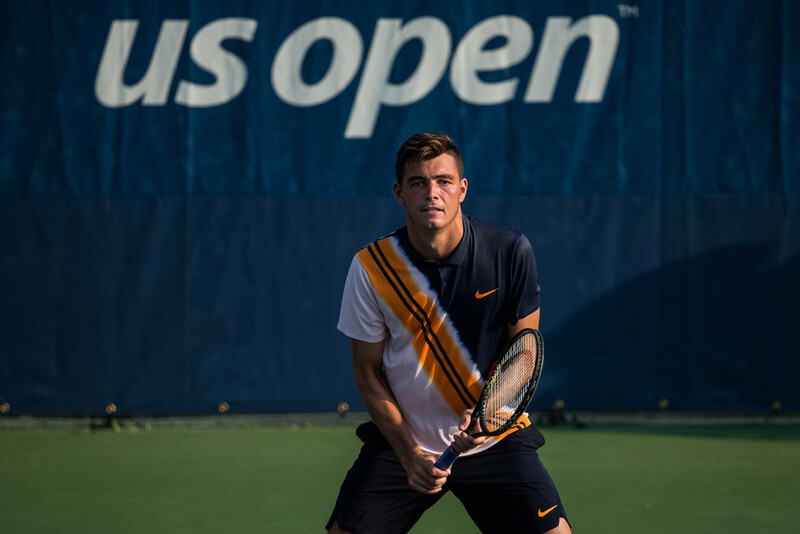 San Diego native Taylor Fritz advances, for the first time, Wednesday to the third round of the U.S. Open Tennis Championships, just not in the way he’d hoped. The 20-year-old made it past the second round of a grand slam event for the first time after Australian Jason Kubler retired 6-3, 3-6, 6-3 (retired) because of his right ankle. Fritz was ousted in the second round last year at the U.S. Open and again at Wimbledon last month. Kubler has battle knee injuries in the past from a hereditary condition. His doctors advised him to play on clay courts, which he’s done exclusively from 2012 to 2015. Just before the U.S. Open, he cracked the top 100 ranking, in 99th place, for the first time. Kubler’s bad luck with his knee continues to plague him. A rolled ankle in the middle of the third set, at 3-4, exacerbated his knee problem. After a 14-minute medical timeout, Kubler returned but Fritz won eight of the final nine points before Kubler called it quits. He now faces ninth-seeded Dominic Thiem of Austria, who ousted him in the second round last year in their first and only meeting. Earlier Wednesday, Thiem defeated Steve Johnson in five sets. The Austrian is a formidable opponent. He’s made the fourth round of a grand slam eight times in the last nine times. Thiem has made the fourth round of the U.S. Open in three of the last four tries.